LOCAL TRADE! 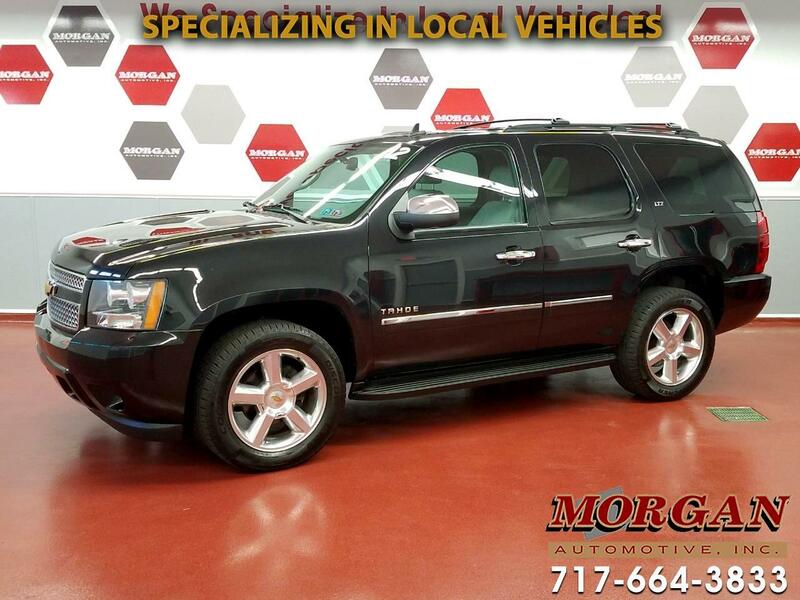 ****GORGEOUS 2012 CHEVY TAHOE LTZ****NAVIGATION****DVD****CLEAN 1-OWNER CARFAX****This is a fully loaded 7-passenger SUV with rear DVD for keeping the kiddos entertained on those long road trips. Need to bring a trailer or boat along? No problem! This powerful vehicle comes with a heavy duty hitch, 7-pin connector and tow/haul mode. Other features and options include power sunroof, blind spot monitor, rear view camera, remote start, fixed running boards, power liftgate, tow/haul mode, luggage rack, heated and cooled leather seats front seats and heated second row bucket seats, 2 position power memory driver seat, touchscreen infotainment center with BOSE premium sound system, AM/FM/SXM/CD/AUX and Bluetooth, wood grain trim and 3-zone climate controls! Runs and drives great, has just been through our Morgan Automotive certification passing a 110 point check and fresh oil change.Comes with a 4-month/4,000 mile powertrain warranty with options to extend coverage for added peace of mind. Financing is available, if interested please contact one of our commission free sales team members.